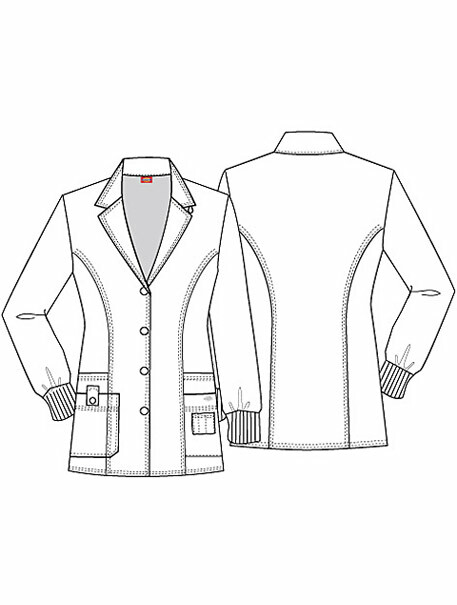 A Junior fit button front lab coat features a notched collar, rib knit cuffs, and princess seams to add shape. 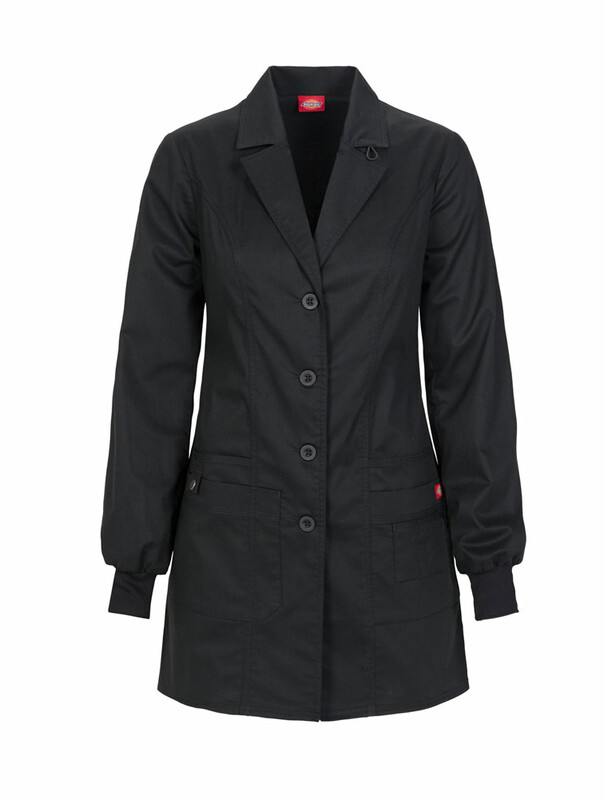 Also featured is a bungee loop on the collar, four patch pockets, one with a functional snap closure for extra security, and pen slots. Center back length 32".